Gender-based disparity in compensation tends to be present even in the top executive ranks — but in some surprising ways. 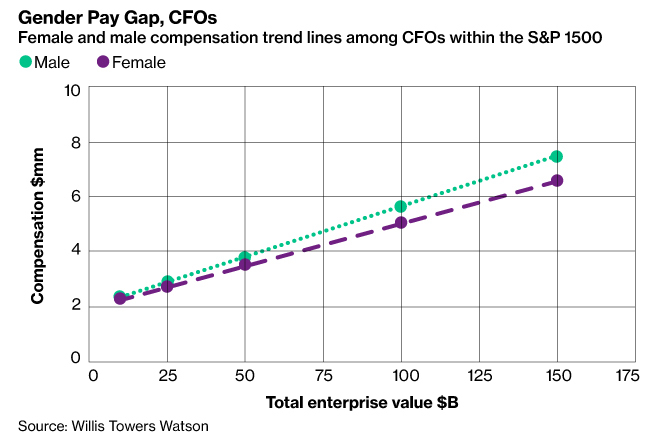 Among smaller S&P 1500 companies, male and female CFOs earn about the same pay (including base salary, annual incentive target, and long-term-incentive grant values), according to an analysis by Willis Towers Watson. That holds until enterprise value — market capitalization, less cash and short-term investments, plus total debt, preferred equity, and minority interest — approaches $25 billion. A slight pay gap then appears and grows marginally wider as enterprise value increases (see chart). Among companies where that value exceeds $50 billion, the average discount for women finance chiefs is about 11%. Interestingly, the same is not true for CEOs. Male chief executives slightly out-earn their female counterparts at companies up to about $25 billion in enterprise value. But the pay gap then vanishes, and by the $50 billion level women start to pull ahead, with the disparity growing wider as enterprise value increases. To be sure, the modest proportion (5%) of S&P 1500 companies with female CEOs presents some “inherent challenges” for the analysis, Willis Towers Watson concedes. For example, says Steve Kline, a senior director for the firm, “When we’re in a client setting, helping a company actually set executive pay, we cut the data by industry.” Doing so might not yield reliable results when working with a small sample size like the population of female CEOs. By comparison, 11% of companies in the sample have female CFOs, while 12% of named executive officers (NEOs) other than the CEOs and CFOs are women. Among these “other” NEOs, men receive higher compensation at all enterprise value thresholds. To some degree, C-suite compensation gaps between men and women “may reflect more detailed analytics that consider factors beyond the scope of this review,” Willis Towers Watson says. 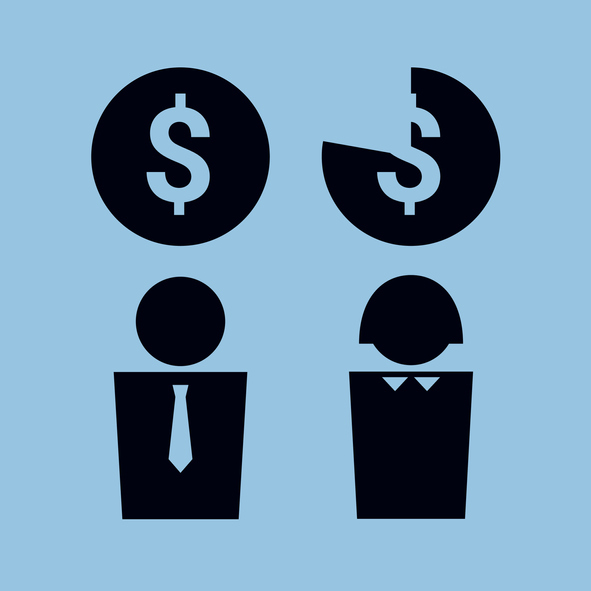 Examine pay practices at every level to ensure fairness across employee segments. Pay special attention to highly populated roles, key business roles, and top executive roles. Also, make adjustments where necessary and short-circuit policies and practices that perpetuate unintended pay differences (e.g., promotional increase limits, and overemphasis on tenure or experience as a driver of higher pay). 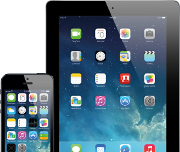 Examine the distribution of employee segments across all levels of the organization. Analyze the pipeline for mid-level and senior leaders, and ensure executive sponsorship of inclusive and diverse pools of talent across all parts of the business. 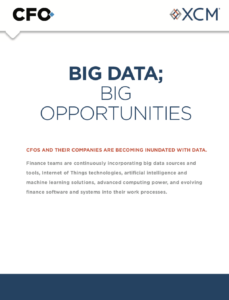 Set goals, conduct workforce analytics, and monitor key talent management metrics. Engage in employee listening strategies to understand the support employees need to increase their engagement and progress in their careers, as well as what unknown obstacles may exist. Commit to regular discussions at compensation committee meetings regarding progress on inclusion and diversity in talent management efforts.